The preservation of affordable housing in NYC will always be an enormous challenge. Not only is New York one of the most expensive cities in the world, with very little room left to build, it is being constantly reinvented. Neighborhoods that a decade ago were neglected, or primarily heavy industry, become today’s hottest residential markets, with rents rising higher than anyone can predict. Property owners in the business of providing quality affordable housing must operate in this fast-moving landscape, where markets change, and rising building costs exert pressure to keep up with the demands of modern living. Add to that, rent regulation creates a complexity of rules and limitations, with every decision about a building subject to scrutiny and verification. As an engineer and a principal in a family firm that owns mid-size apartment buildings, primarily in southeast Queens, I understand the need to be creative and efficient when it comes to maintaining quality affordable housing. Our company buys buildings, mostly in middle and working-class immigrant neighborhoods because that is our DNA. Founded by my brother, an immigrant from Guyana, in 1982, Zara Realty has a portfolio of primarily rent regulated apartments. While glass and steel high-rises dominate Manhattan and some of the trendier precincts of western Queens and Brooklyn, mid-20th century housing stock remains by far the most common form of affordable housing. And that is not going to change any time soon. Existing buildings today will make up 85% of all buildings standing in 2030, according to the city’s OneNYC report. That means we better make the best use of these buildings if we want them to serve the residents of tomorrow. Currently, 62% of rental units in NYC are in buildings constructed before 1947, according to the U.S. Census Bureau, and 70% of all residential units were built before 1960. The component parts of a building constructed in 1947 have virtually all passed their useful lifespans. What if, as landlords, we simply allowed these buildings to deteriorate? Many of the million-plus rent regulated tenants in our city would be stuck in buildings with inadequate heating, leaking roofs, cracking floors, crumbling façades, peeling paint and more, with no hope of improvement. Recently, some rent regulated tenants, organized by professional advocacy groups that receive taxpayer money to stage rallies and hold press conferences, protested outside the office of the state Division of Housing and Community Renewal (DHCR). The target of these protests was the practice of landlords making major capital improvement (MCI) to buildings and the often-small increases that are assessed to help make these improvements possible. The types of improvements covered under this category are vital to the preservation of affordable housing. Without them, tenants would be forced to live in substandard conditions or lose their homes altogether. At one of our recently acquired rent-regulated buildings, Zara completed a slate of repairs that included: A new boiler to provide better and more environmentally friendly heating; new front door and vestibule security systems, as well as cameras to protect tenants; a new parking lot; a new roof to prevent leaks; new façades to prevent water damage; new elevators; new lobbies, mailboxes and new outdoor fencing. Many of these improvements, as well as routine maintenance, are not covered under the MCI rule. We invest in these buildings because we take pride in ownership and it is the right thing to do. For improvements that do fall under MCI, there are clear rules. The work must benefit all tenants, constitute new installation, and address conditions in systems operating beyond their intended useful life. Further, DHCR must certify all work as necessary and inspect it as up to the highest standards. This process can easily last more than a year, even for the most basic renovations, and tenants are given ample opportunity to register their opinions with DHCR. All these improvements are undertaken in plain sight and for clearly stated reasons. Self-appointed activists who try to portray vital building improvements as excuses for jacking up rents display a stunning lack of knowledge about what it takes to own and maintain property, as well as how tightly affordable housing is regulated. We invest in our buildings because we want to see them last a long time. The urgent need for affordable housing, and the lack of new construction for that purpose, demand that we do no less. 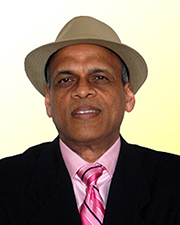 Jay Sobhraj is a principal at Zara Realty, Queens, N.Y.